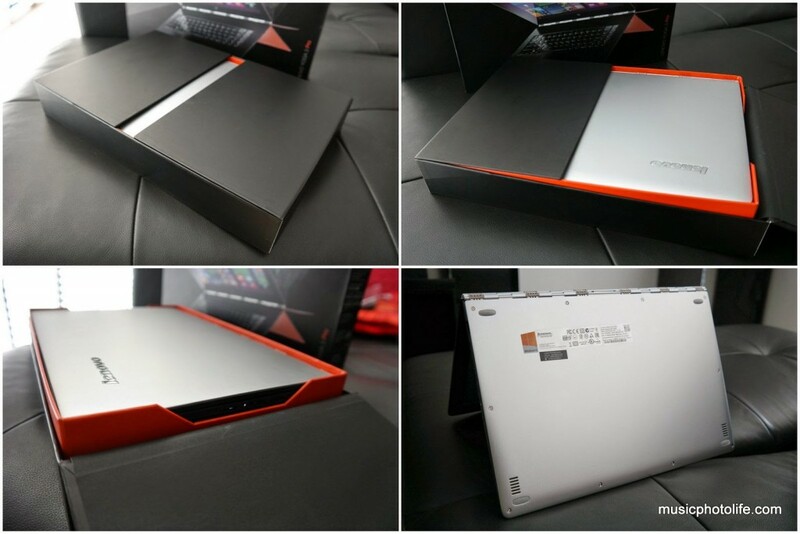 The Lenovo Yoga 3 Pro officially announced its availability in Singapore on 30 Oct 2014. A few days later, I was provided with a unit to review the product first-hand and share my experience. The new Yoga 3 Pro has generated a lot of interest, being the first consumer product sold with the latest Intel Core M Broadwell chip. In addition, Lenovo is the pioneer in designing a convertible laptop that folds 360-degrees, a concept which was initially met with skepticism by consumers but soon copied by other manufacturers. 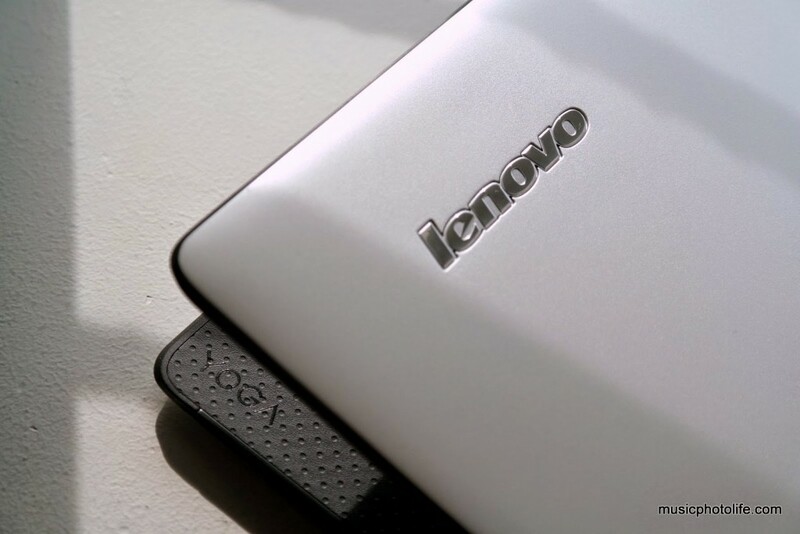 With the latest Yoga generation, Lenovo is once again at the forefront of innovating this multimode design. 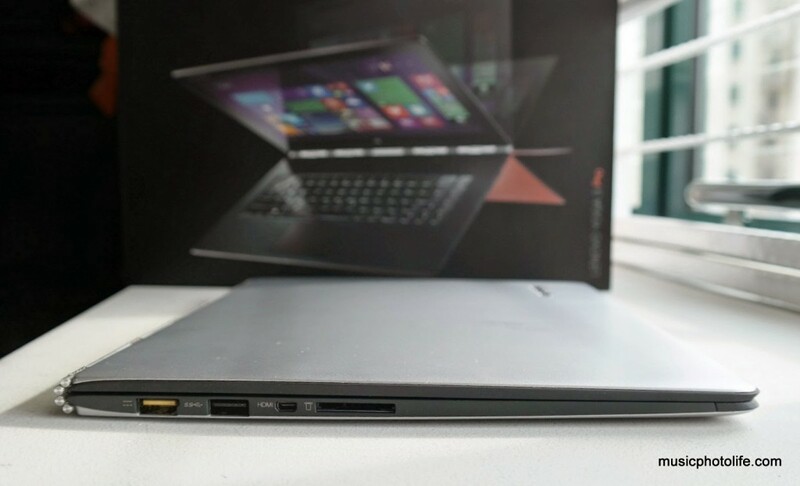 The new Yoga 3 Pro is fitted with the latest Intel Core M (Broadwell) processor. It is a big deal because this processor can be run without a fan (although Yoga 3 Pro has one, just to keep things cooler), allowing computer makers to design thinner and lighter devices. It also runs at a much lower power (4.5W) compared to previous Intel chips, potentially making devices much more battery-efficient. Based on benchmark test using PassMark Performance Test, the Yoga 3 Pro achieves up to 1493 points. With each new version, Lenovo Yoga series cuts the weight and thickness. The Yoga 3 Pro is probably the lightest and thinnest 13.3-inch laptop in the market, with much credit going to the new low-power mobile-friendly Intel Core M chip. 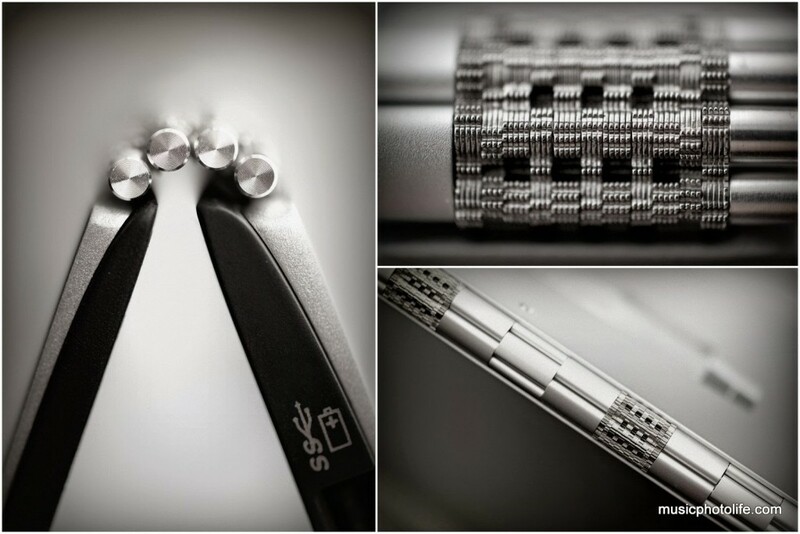 The one feature that make the Yoga 3 Pro stand out is the unique watchband hinge, made up of over 800 individual components. This elaborate design provides a smooth step-less hinge support for the Yoga 3 Pro, ensuring the keyboard and display stays in place in whatever angle you adjust to. Interestingly, the hinge sparkles under basking light, further enhancing its visual appeal. It is so light! It is so thin! 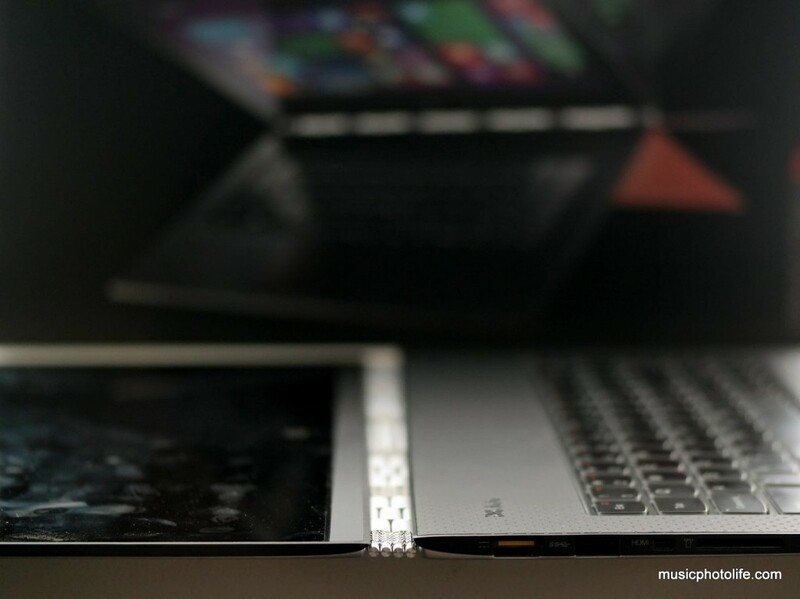 This laptop can achieve what other laptops double the size and weight could. The Yoga 3 Pro feels speedy. Cold boot and shut down is so fast, you don’t even have time to take a sip of water. There was no uncomfortable lag when I open apps or tap an icon for action. I give credit to the massive 8GB RAM and the 256GB SSD. There was practically no sound coming out from the machine, except for a silent whirl when the processor kicks in during high CPU usage. The Lenovo Yoga 3 Pro is not built for extensive media processing (music, photos, video), and more for mobile warriors who need to work on office productivity, like word processing, spreadsheets, presentation. With that in mind, the Yoga 3 Pro can achieve over 5 hours of usage for an average user, and past 7 hours if you select the Power Saver power plan and use the ultrabook sparingly. If you load the processor regularly, the Yoga 3 Pro can sustain up to around 3.5 hours. Putting it on standby doesn’t drain the battery much, but if you don’t use it over long periods of time, it’s always better to shut it down, which takes less than 10 seconds anyway. How good is the battery life? It all depends on your usage pattern, the brightness level of the LED screen, whether you set the Power Saver, whether you run apps that requires high CPU resources. But all I can say is that, I have never experienced such a reliable battery performance in such a slim and light computer. The Yoga 3 Pro is going to last you an entire day of office work and web browser surfing. It takes 3 hours to give a full charge, but just an hour’s charge will bring the battery up to 50%. Just like the Yoga 2 Pro, the Yoga 3 Pro has a 3200×1800 pixel QHD+ display. The touch screen is sensitive and responsive. The colour tone is skewed towards the warm side, looking natural without over-saturated. Images and text look sharp, viewing angles are excellent, without colour tone or contrast shifts. However, the uncommon display resolution causes some font size inconsistency issues, as the Windows OS native display scaling is not compatible with all apps. So, some display text appears jaw-droppingly tiny, while menu icons could be impossibly small to select. Fingerprint smudges on the Gorilla glass panel are unavoidable. The keyboard surface is laced with a dimple-pattern rubberized coating, which feels rather comfortable to rest on. The keyboard action distance is shorter than the usual Lenovo keyboard. But the mechanism is firm, responsive and the keys are sturdy and do not waver. And, it’s backlit! Makes working in low light a breeze. The touchpad is sufficiently sized, equally responsive and smooth to the touch. Lenovo has chosen to remove the dedicate Function keys, but you can still access them by pressing the combo “Fn” + number keys. Lenovo has designed the charger port with standard USB connector. When not charging, you can use the connector as another USB port. The Lenovo charger uses a detachable but specially-designed USB cable, and the same charger can also be used to charge other USB devices as it outputs 2A current in either 20V (to charge the laptop) or 5.2V (to charge other mobile devices). However, I couldn’t charge the laptop with other 2A 5V USB chargers. Most consumers dislike bloatware, which slows down the devices. 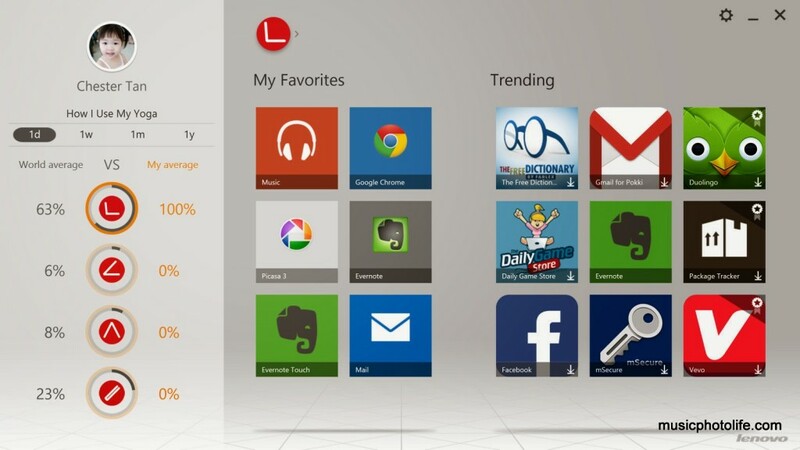 But I quite like the following Lenovo apps in the Yoga 3 Pro. 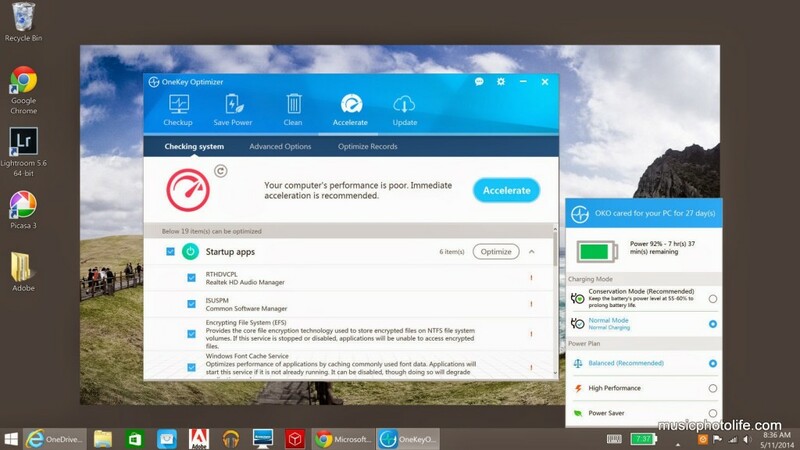 Lenovo Settings: dashboard to manage your ultrabook hardware. 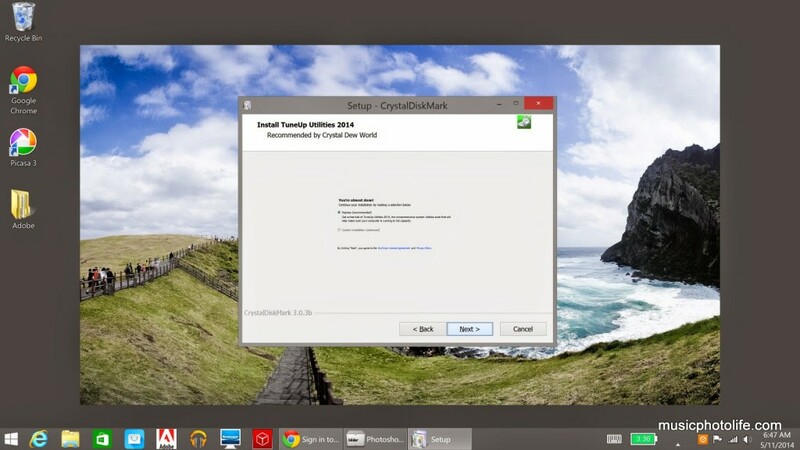 Use it to enable or disable camera, WiFi, monitor CPU temperature. OneKey Optimizer (OKO): displays your remaining battery, cleans up memory and junk to improve performance. 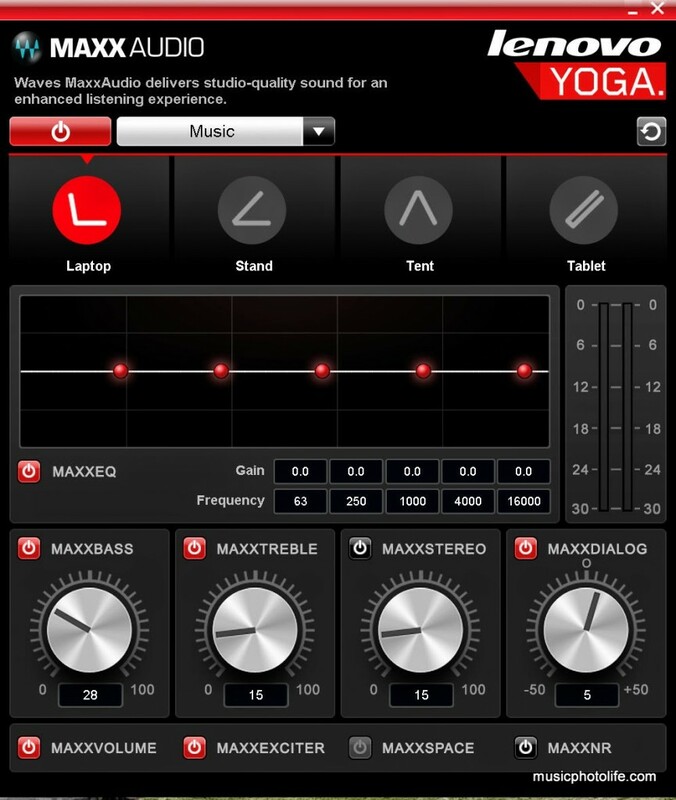 Harmony: learns the apps you use to optimise system settings and suggests your commonly used apps against each mode. There isn’t much customisation options for this app, and I don’t see any critical benefits other than collecting usage information on each modes, telling me which modes I frequently use on my Yoga 3 Pro. Phone Companion: connects to your smartphone wirelessly via Wi-Fi. 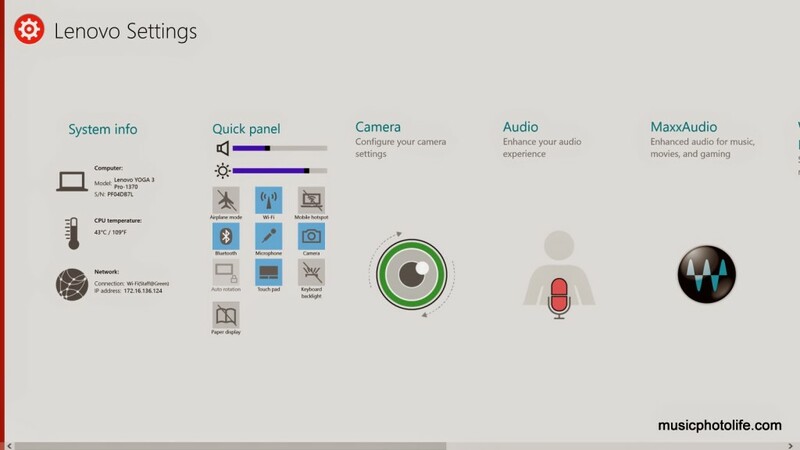 From there, you can access your phone contents, call or text via the laptop. I didn’t get it to work during my review period, but I think this feature has got good potential. Among the other optional apps, I tried the Lenovo VeriFace Pro2, which is essentially a face recognition authentication tool to unlock the laptop. While it facilitates logging in at most times, the tool fails when there is insufficient lighting or when you disable the camera. Yoga 3 Pro is fitted with JBL audio speakers and runs on Waves Maxx Audio, which changes the audio settings automatically based on the display mode (laptop, tent, stand, tablet). This is a good idea, as I like to boost the treble in laptop mode because the speakers are below the keyboard and sounds muffled. For tent mode, I tweak the treble lower since the speakers face towards the viewer. The speaker audio quality is bright and sufficiently loud, producing sparkling trebles (with tendency to crack at loud volumes), warm mids and audible mid-high bass. 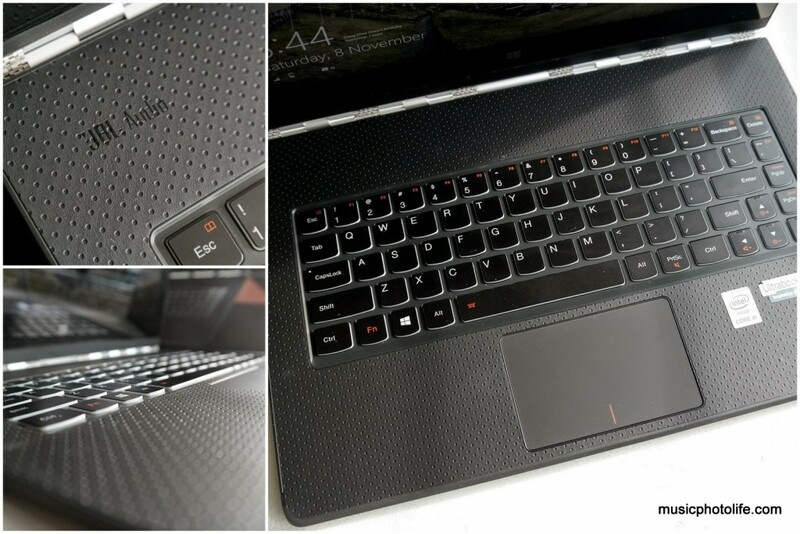 It is certainly one of the better sounding laptops I’ve reviewed. The camera captures up to 1280×720, and does not come with any advanced shoot settings nor any camera apps. A small white LED light appears next to the camera but is not strong enough to be a light source, so I reckon it’s only an indicator that the camera is active. 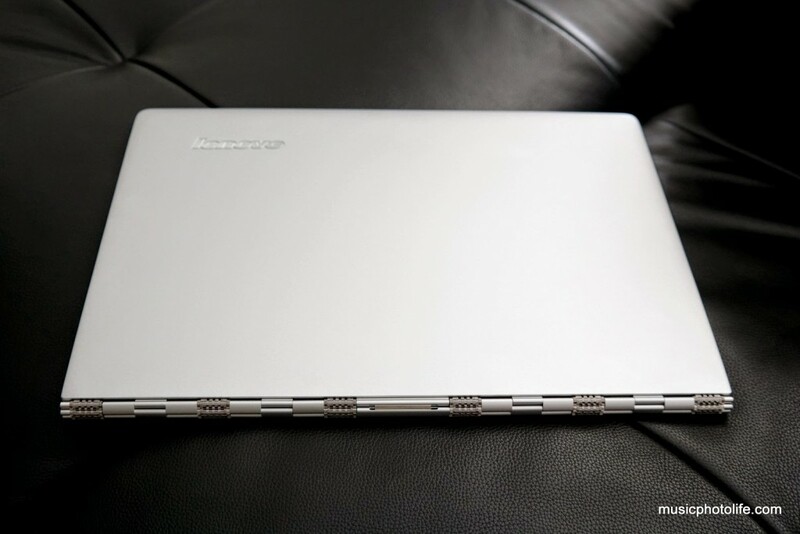 The Lenovo Yoga 3 Pro is a beautiful ultrabook, with a unique watchband hinge that is hard to miss. Since this is the first ultrabook that uses the latest Intel Core M chip, subsequent launches from other computer makers are bound to use this ultrabook as a reference. Based on my week of usage, the Yoga 3 Pro delivers better performance than most of the average ultrabooks of previous Intel Core chips with similar clock speed. Thanks to the new Intel Core M processor, it is possible to run the Yoga 3 Pro longer in low-power state. Battery life could have been better to cater to more aggressive users, but not without gaining some bulk. For that, I think Lenovo has positioned this product pretty well: focusing primarily on the slim and light design, balanced with a respectable battery life, and a good hardware-software combination to ensure smooth and sleek performance worthy of its look. The Lenovo Yoga 3 Pro is priced from S$2299. Visit Lenovo Singapore website for more details.